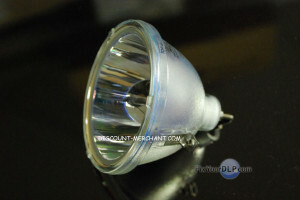 Have doubts about your newly purchased DLP projector lamp? Find out if your DLP projector lamp is genuine or not. “Not all companies work with Philips and it’s become a widespread problem in the global market,” said Gerrit de Beer, Philips Lighting. Find out more about the Philips initiative for genuine lamps by downloading their brochure Make sure it’s an original. It’s no secret that the market has been flooded with counterfeit lamps and it can be difficult when buying over the Internet to know what is genuine. Ok, you fell for the seemingly great deal and bought a lamp from an Internet manufacturer. You have the lamp in hand and are still not sure. Check the glass on the blub. 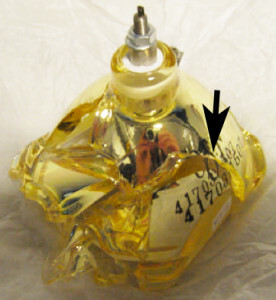 Fake bulbs are often put into the lamp using a glass adhesive that leaves a bumpy surface. The genuine lamp will have a smooth surface with no trace of glass adhesive. Look at the arctube (burner) on the lamp. There should be a manufacturers number on the arctube. If there is no coding or the numbers look badly printer, then the lamp is a fake. Look for the UHP stamp that mean it’s an original by Philips. Labels on the lamp should be clear and colors bright. The information will not rub off easily. Counterfeit lamps will have faded colors and be label will be easily removed off the lamp. 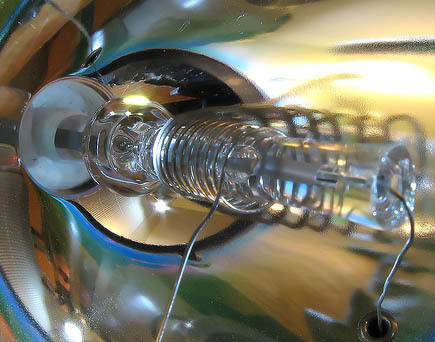 Look at the bottom of the projector lamp where the bulb joins the connectors. Original lamps are built with a dark cultured glue that is an exclusive recipe used by Philips. Counterfeit manufacturers don’t have this recipe and often their glue is brightly cultured. It usually doesn’t hold up under the intense heat the lamps generate. Inside of the lamp should be white with no scratches. If there is discoloration or small scratches, it means parts have been replaced or recycled. The lamp is not original. Contact your seller and ask for a refund. Don’t install the lamp into your projector. Ok, you decided to take the gamble and have installed the lamp. Do you have any of the following symptoms of a bad lamp? Learn what to do it your lamp explodes.